Today I am sharing set of cards that was designed based on a "cased" layout and recreated in multiple colors. 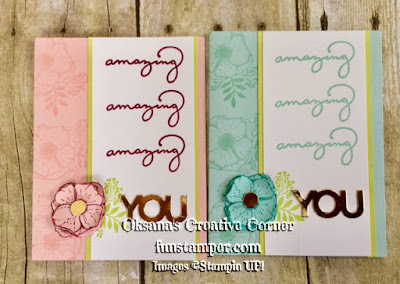 I just love the font of this stamp set and how it coordinates with framelits. 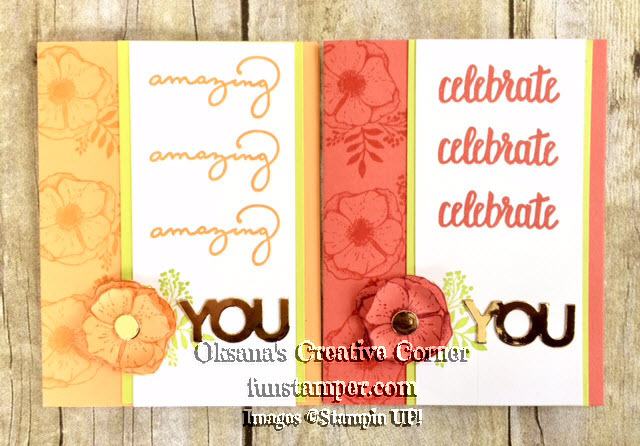 Each card uses Lemon Lime twist for green accent and have exact the same layout and stamping portion. 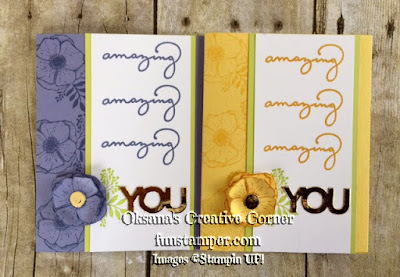 Stamp flower 2 times and cut it - first flower cut the entire one and second - just the middle 4 petals make sure you cutting them to the center (so each petal is only attached to the center). 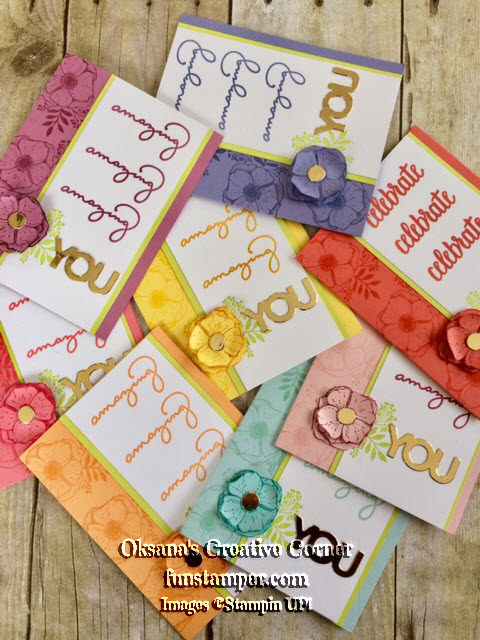 Because I mailed the cards and did not want them to be bulky - i used center of die-cut letter O for the center of the flower.